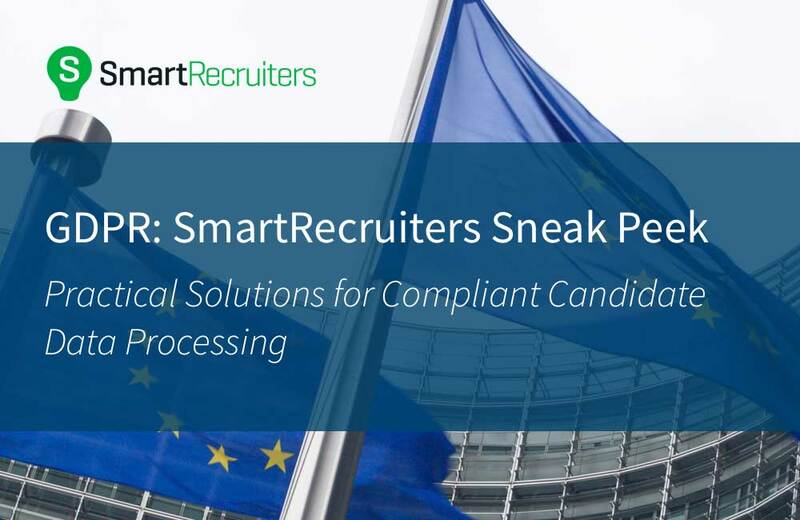 Watch this on-demand webinar with Valérie Bertrand, Head of Legal of SmartRecruiters, and Margaux Muller, Product Manager, to learn more about how the GDPR might impact your recruitment processes as well as how SmartRecruiters has prepared to facilitate compliance for customers. The impact of the GDPR on Candidate Data Processing. Exemplary processes: How to garner consent and provide transparency, as well as honour candidate rights. The solutions SmartRecruiters offers to facilitate compliance in talent acquisition processes.